It feels good to be working on the long arm again! I want to do some free motion work, but I’m easing into things with a few pantographs. Just for fun, I thought I’d share a little video clip of quilting this. I hope it works! I keep saying someday I will learn how to do pantograph. I need to take some lessons. Love your quilt and I just love that panto. Thanks for sharing with your video 🙂 Welcome Home Katy! Thanks for the video clip. I like that pattern. And I like knowing that you are back at the machine…feeling better. 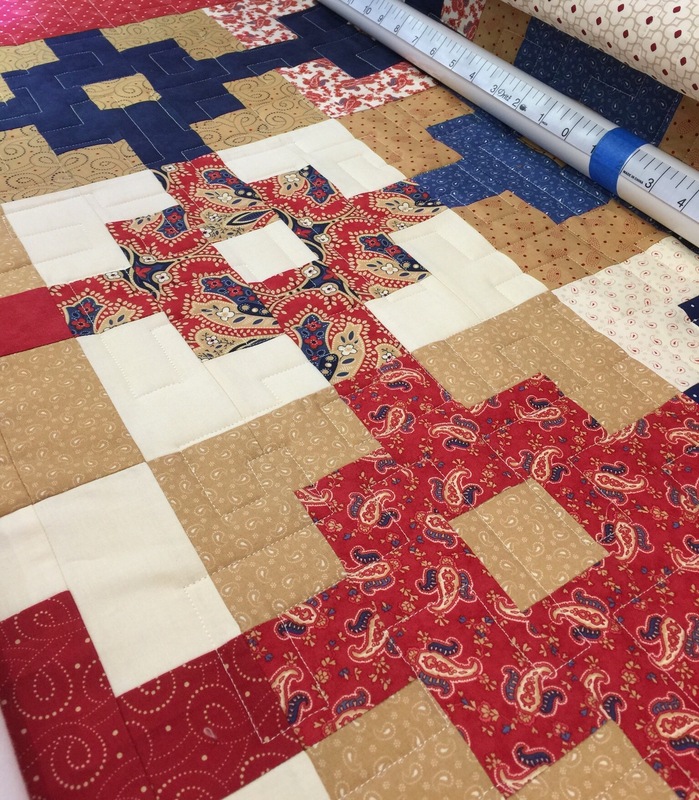 Oh that;s a great one – love the quilting you are doing on it! The QOV are always so interesting to see what patterns for piecing are used. Then to see what you decide to use for the quilting is appreciated. Great panto and your video clip worked! 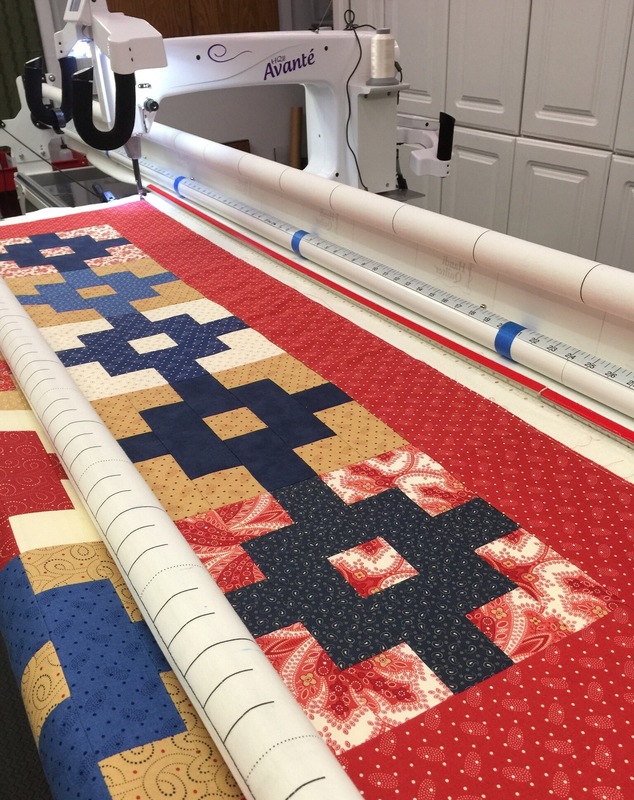 A longarm is now at the top of my wishlist! Whoa, that makes me dizzy, wink! I’ve only tried a longarm once and my friend had to pry my fingers loose because I was gripping it so tightly. I guess I need to learn someday! Thanks for the video. 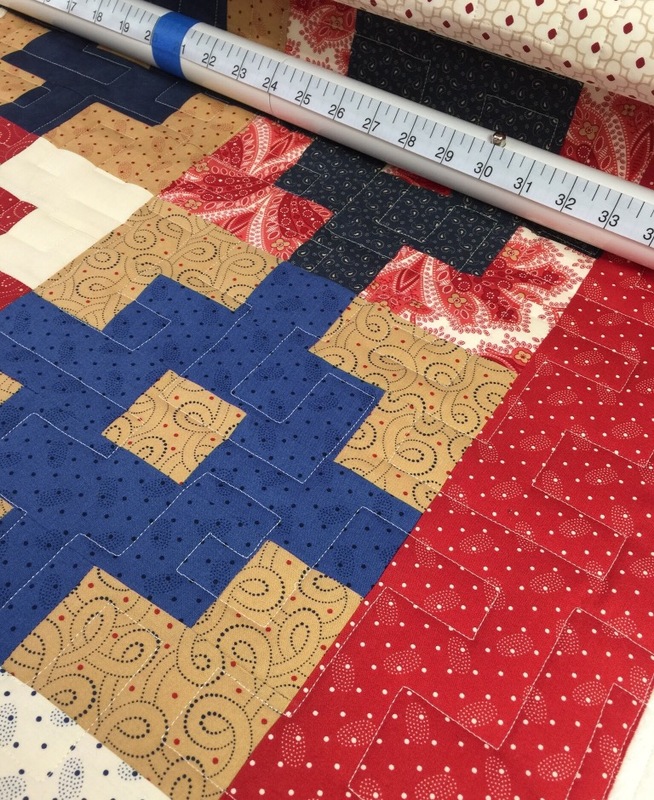 Love it all: the quilt, the quilting, and especially your measuring tape on your bar. A great idea. Awesome! It’s going to be just awesome!